I have been working on my on-purpose person book and redoing my purpose statement. Building a legacy with my 4 children and future generations is my purpose. Little things sometimes are the greatest things that kids will remember for the rest of there life. It builds legacy. I just have to share this. We purchased some real milk and were able to get the cream off the top. My wife decided to make some butter with the help of my 6 year old. This is my little Amy. She is something. In this photo she had butter all over her hands. She was washing the butter. 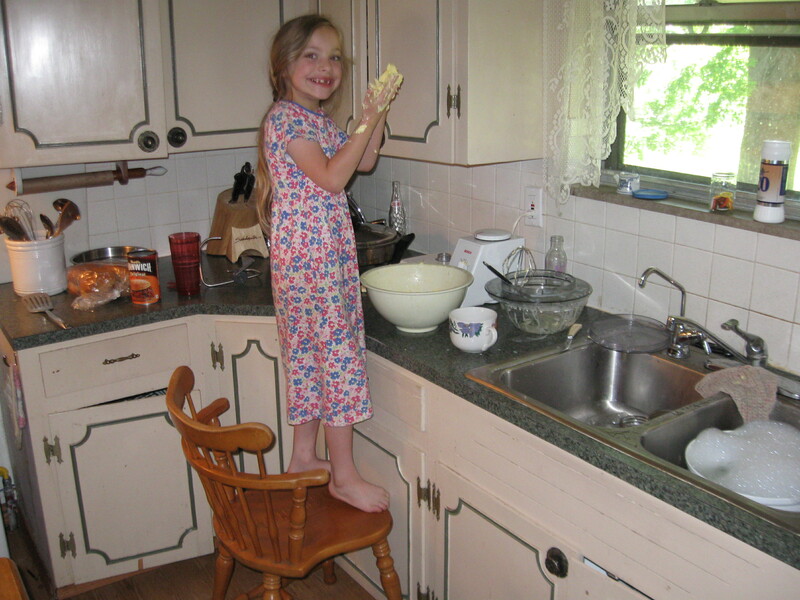 See, she literally is washing the butter. If you would like to read about the complete story, my wife has written about it on her blog. I can smell the homemade bread baking….. MMMMMMM It is so good!